What you need to see this weekend! 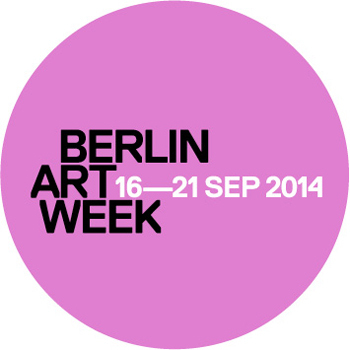 Berlin is all about art this week. 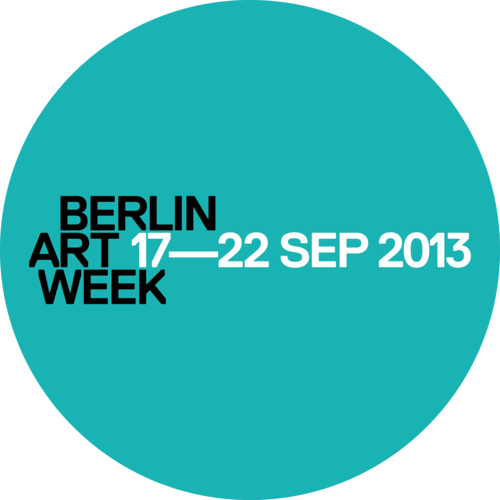 From September 17-22, 2013, BERLIN ART WEEK is taking place. 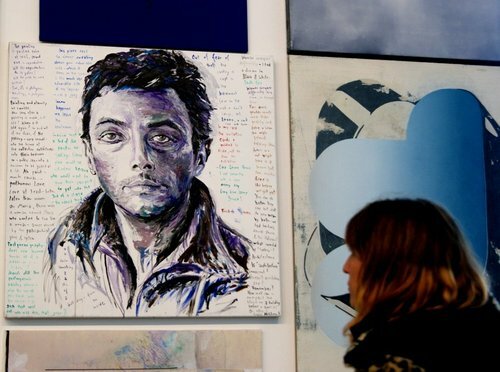 Not only can visitors gaze at well-established artists such as Franz Ackermann or Jeanne Mammen, there is new wave of up and coming artists and artisans waiting to be discovered. 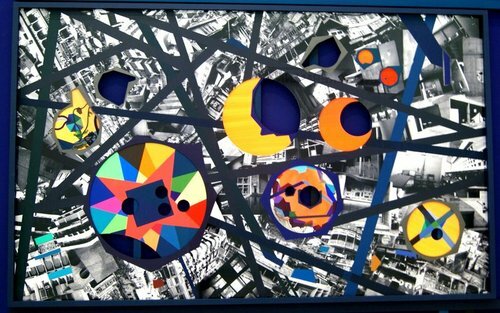 The exciting mix of painting, photography, installations and more can be seen in over 20 venues all over the capital city of Germany. Œ went to see five selected exhibitions, to give you readers an insight of what you should definitely go and see this weekend. One day, five venues, a lot of inspiration, and nearly too much input to process. Like many other artists, I chose Berlin as the city to live in. Yesterday, I felt like a tourist wondering around my own hometown – a wonderful experience in its own way. The first stop was one of the most impressive museums in Berlin: Hamburger Bahnhof. Formerly a train station, the setting supports the impressive work of each an every exhibition. 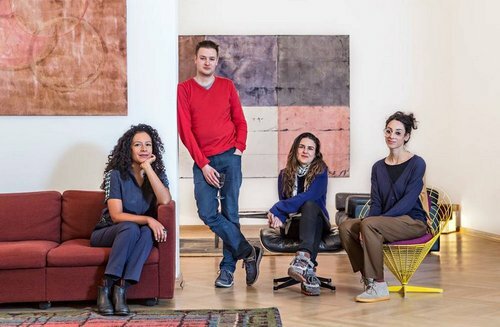 My focus here was on the works of the four young and promising artists Mariana Castillo Deball, Simon Denny, Kerstin Brätsch and Haris Epaminoda, who are nominated for “Preis der Nationalgalerie”, a prize awarded to a new talent initiated by selected museums. 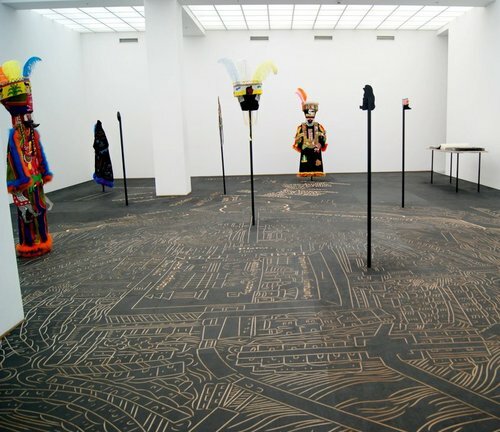 Marina Castillo Deball, born in Mexico City, living in Berlin, works at the intersection between art and scholarship, contemporary approaches clashes with historical research. Auckland born and Berlin dwelling artist Simon Denny’s presentation is dedicated to the language and aesthetics of the “Digital-Life-Design” conference held in Munich in 2012. 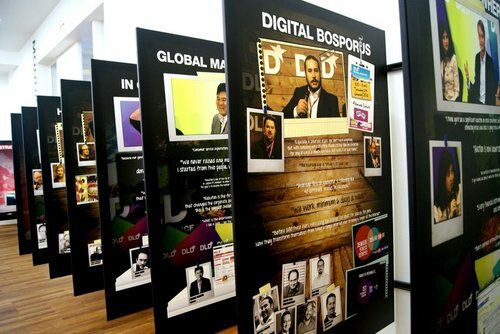 His work is an archaeological study of our recent media past and its present. 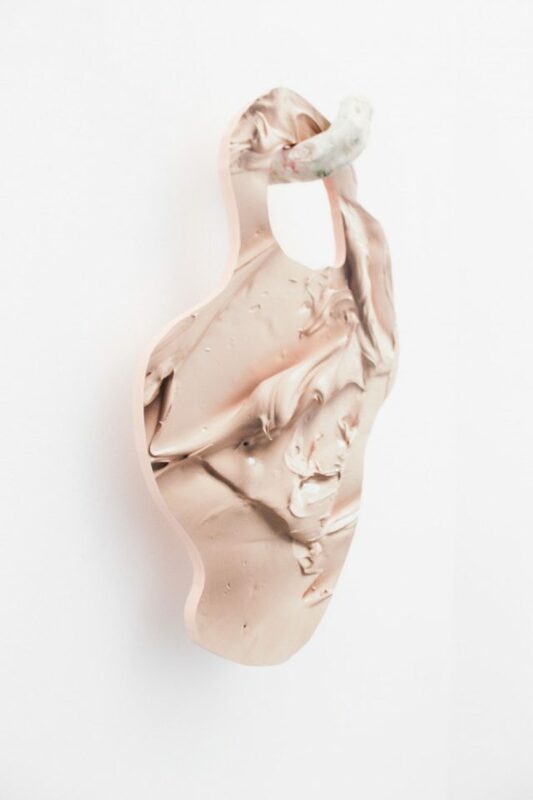 Born in Hamburg, Kerstin Brätsch opens various perspectives on paintings with her interdisciplinary approach. She combines her own language with traditions of the 20th century. 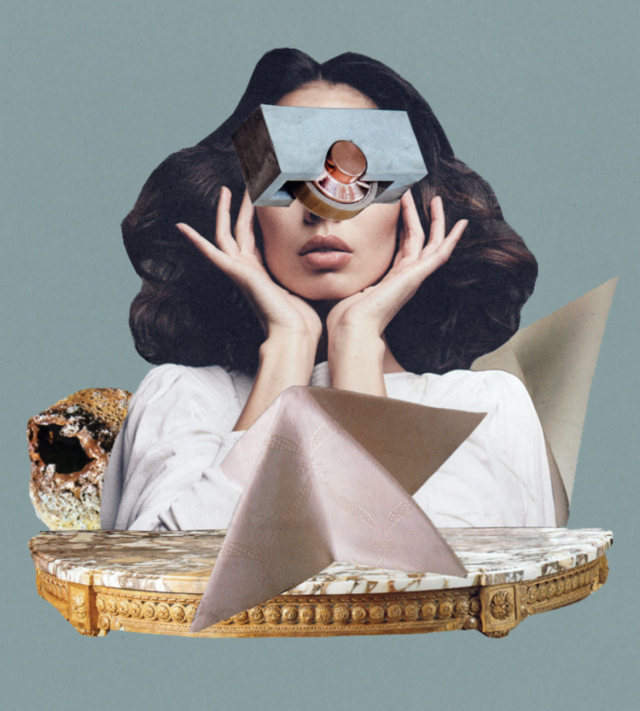 Haris Epaminonda, originally from Nicosia and now living in Berlin, starts off her work usually with strange images and things to create complex moods and emotions to evoke vague memories. 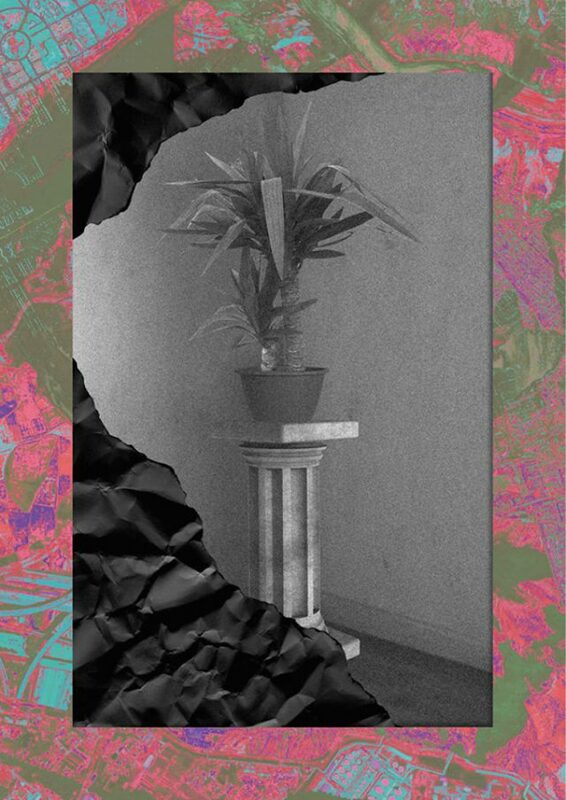 She takes items, photography, text and film and removes them from their original context, reassembling them in precise and balanced exhibition displays. One of my highlights of Berlin Art Week definitely was the series “Painting Forever!” (18.09.-10.11.2013), from which various works are displayed in four venues. I went to see pieces at Berlinische Galerie, Deutsche Bank Kunsthalle and KW Institute for Contemporary Art. 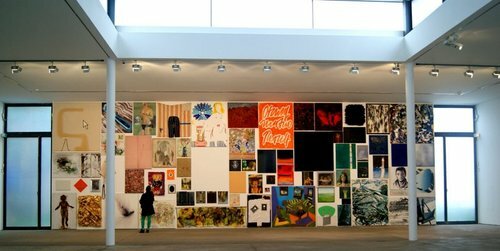 The exhibition “KEILRAHMEN” at KW Institute for Contemporary Art is a compilation of different art pieces displayed together on one big wall—74 artists in conversation with one another. 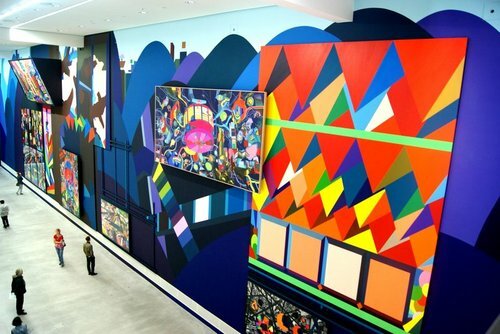 Berlinische Galerie is currently displaying the work by Franz Ackermann “Hügel und Zweifel” (Hills and Doubts). Specifically for this exhibition, Ackermann developed a special spatial concept that places wall paintings, panel art and photography in conversation with each other. 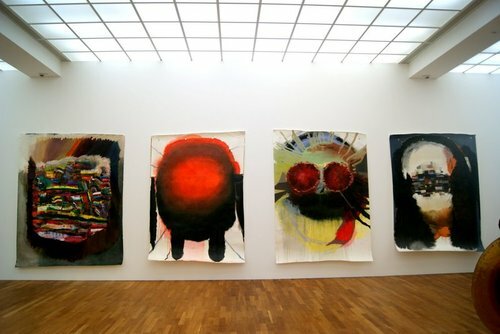 At Deutsche Bank Kunsthallen, paintings from well-established artists were on display. Jeanne Mammen, Antje Majewski, Katrin Plavçak and Giovanna Sarti were shown under the umbrella of “To Paint Is To Love Again”. The last stop of my artsy-day was the Akademie der Künste, situated close to Brandenburger Tor at Pariser Platz where I had a look at “Mail Art – Project Akademie/Academy”, a selection of letters and postcards including works by George Grosz, Hans Sharoun and more. 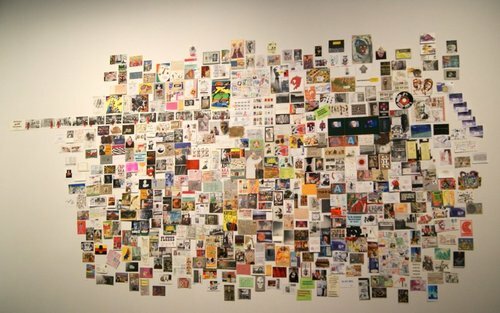 Over 320 participants from 38 countries participated in the Mail Art project, following the idea “no jury – no fee – no return – documentation to all participants”. All entries will be displayed, as a reward for submission. 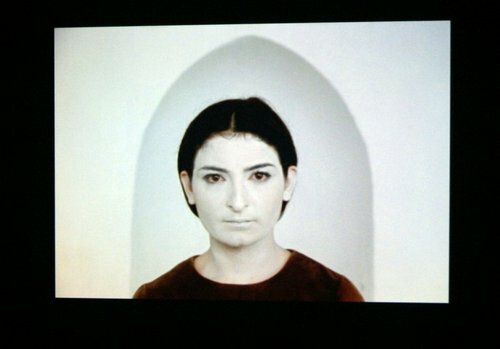 For all photography lovers, one of the must-sees is “Jenny Jenny” by Tobias Zielony, also displayed at Berlinische Galerie. Now get out there and breathe fresh Berlin Art air!